Mid-Summer Update - SeaScape, Inc. Many lawns have mushrooms right now. These fungi are tricky in that they may appear one year, in one spot, and not in others. You may not see them in that spot again for years after. In some neighborhoods one lawn will have a ton of mushrooms, while right next door there are zero. Mushrooms do not occur because of our treatment. Our equipment doesn’t spread them from one lawn to another. 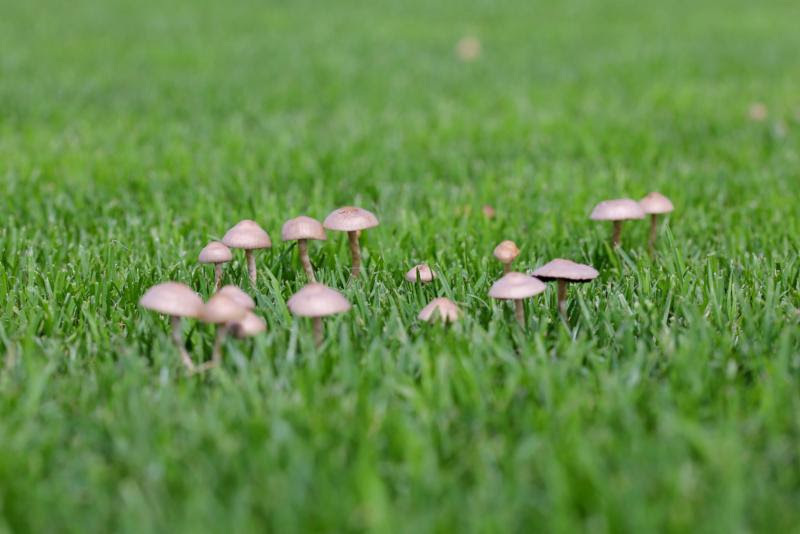 There is no good treatment for mushrooms, as they are a cultural problem (they chose areas in your lawn with the perfect conditions of moisture, soil nutrients and sometimes, shade). They will go away on their own without damaging your lawn. weeds like the hot weather. 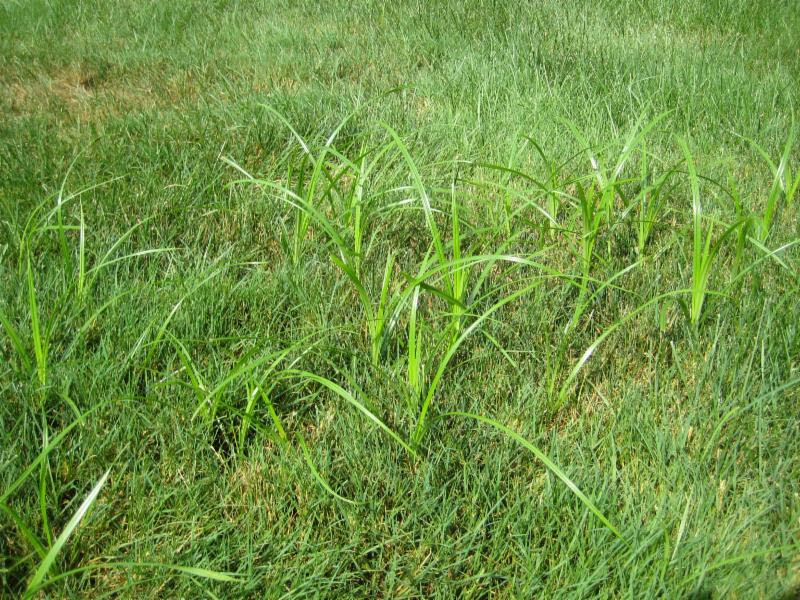 Nutsedge is that tall, lighter green grass that grows faster than the rest of your grass. All of these pests will be treated at the time of each application. However, you may see them pop up between visits. 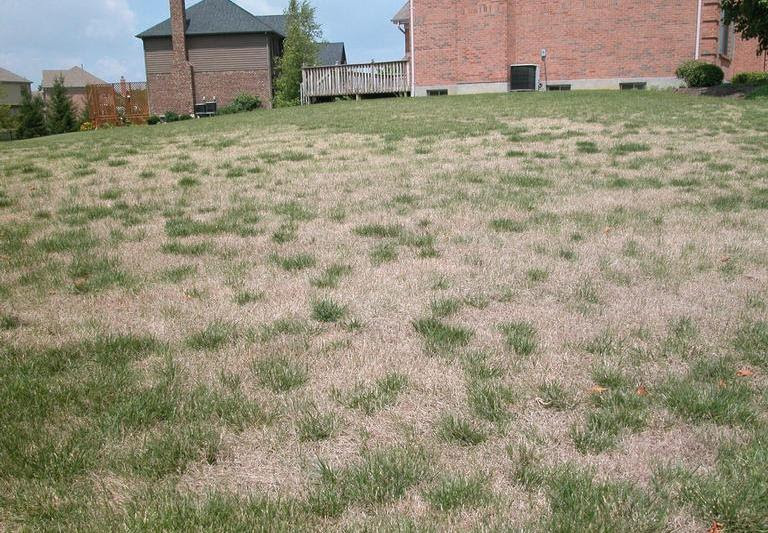 Please just call our office at 1-800-294-5296 or send an email to let us know your lawn needs treatment. We will come right out and respray them. insects like the hot, dry weather and their damage mimics drought stress. Your techs will be checking and treating for insects as necessary. Late summer into the fall is the best time to reseed your lawn. As the air temperature cools off, soil temperatures remain warm, allowing new seed to germinate. Over seeding will help bare areas of your lawn fill in and thicken the rest of your established grass. New seed must be watered on a regular schedule so that it will grow. Core aeration is the process of poking holes and removing cores of soil and grass from your lawn. These cores are left behind to break down, leaving nutrients behind. Aeration helps break up any detrimental thatch that can develop over the course of the year. This process also stimulates root growth which promotes healthier grass. 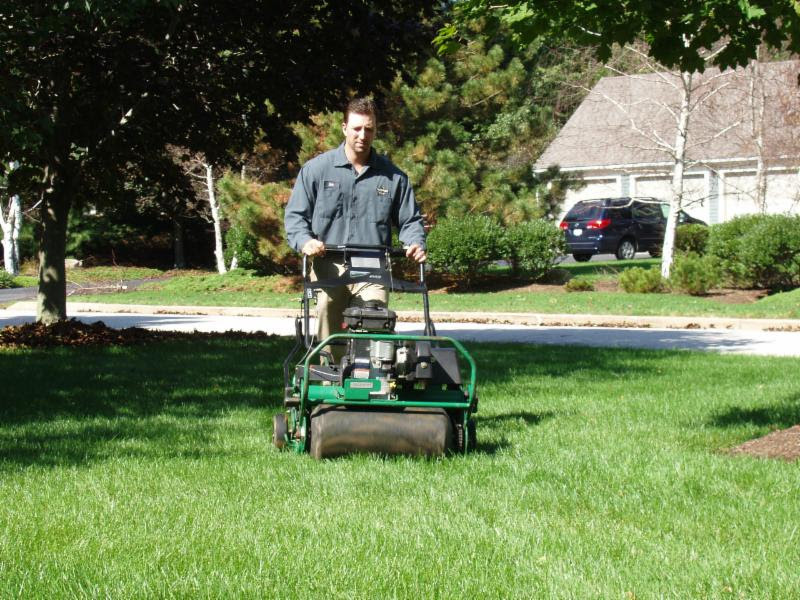 Your lawn techs will be proactively leaving you quotes on both core aeration and over seeding. We continue to apply our tick and mosquito applications. Mosquitoes will start to diminish later in the fall naturally, and our applications will cease. Ticks, however, are hardier creatures. They continue to be problematic later into the fall. We will apply tick controls into the late fall and start them again next spring. If you are interested in more information on our tick and mosquito control options, please contact our office.